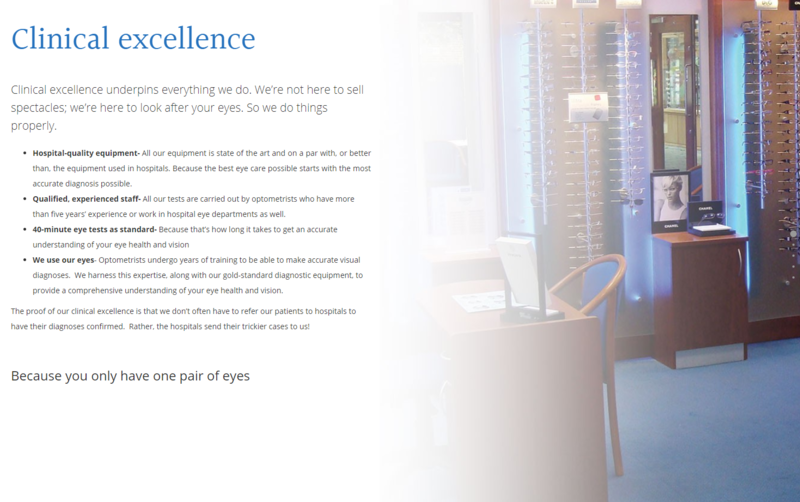 Kings Hill Opticians’ new website had been ready to go live for 18 months, but they had struggled – and failed – to write the content themselves. Within weeks of our initial meeting, we had created the content they needed to communicate their unique offering to their target clients, so their new website could start working to grow their business. It’s a trap a lot of small businesses fall into: trying to write their own website content. They know they can’t design or code the website themselves, but they think they can save money when it comes to writing it. After all, the business owner has a GCSE or O Level in English – how hard can it be? But, as Satvinder Shoker, director of Kings Hill Opticians, discovered, it can be very hard. Like many business owners, Sat exceeds at what he does: he is an excellent optician, as his role as the head of the Opticians’ Department at Maidstone Hospital testifies. But that doesn’t mean he could find the time to write his own web content – or that he could identify what his customers are looking for, what factors will tip them into picking up the phone or buying, or how to communicate in a way that resonates with them. When we met Sat at a networking meeting and he confessed to the 18-month delay to his new website, our reaction was simple: “You shouldn’t be writing your own content!” We explained that we take the stress out of website content creation, and that we could have his new website live within a couple of months, including time for revisions. 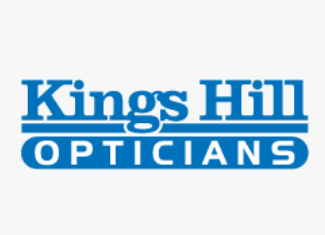 We supplemented the product and services content with independent endorsement, interviewing patients to get third-party testimonials about the expertise and experience offered by Kings Hill Opticians’. An additional challenge was to sift through the very medical content that had already been written, identifying what was relevant to the target customers and relaying it in way they would understand and that connected with them emotionally. One example of this was the page headed ‘Visual stress’, the medical term embracing conditions such as dyslexia. While it is medically accurate, it’s not a phrase that target customers – such as parents of children with reading difficulties – are likely to be familiar with; it’s therefore not something they would be searching for online and not something they would identify as relevant to them if they came across it. Fortunately, our strong background in the health sector and in communicating complex subjects to lay audiences enabled us to unpick the medical jargon and rewrite the content to maximise its appeal to the target audience, as well as for search engine optimisation. “Our website designers had been chasing me for 18 months to get the content written for our new website and I really thought that I could do it myself, but I couldn’t find the time and I couldn’t work out what our customers needed to know and what was too much information. I did know that all the time the new website was hidden, the money we had spent on it was effectively wasted, as our only online presence was a very outdated website that was not mobile friendly and didn’t communicate in the right way for our target audiences.